NORWAY. 2012. Vesteraalen. 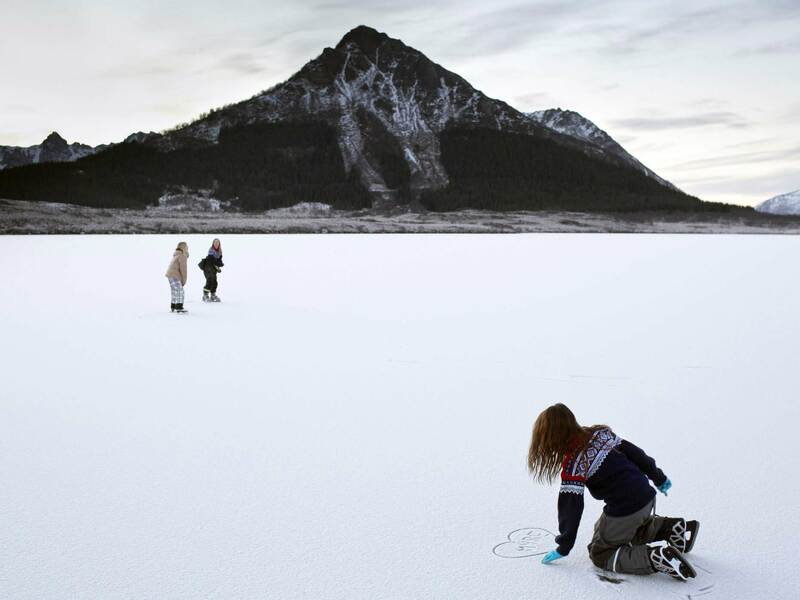 Girl drawing a heart in the light snow, while ice skating on a frozen lake. Near Alsvaag.